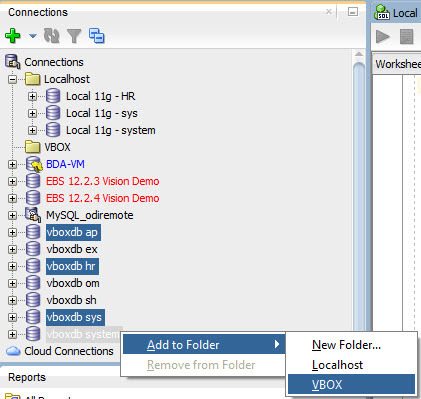 ThatJeffSmith has already shown you how to clean up your Connections window in SQL Developer by using Folders. If you are like me, you may have multiple open connections to various database instances or to the same one for that matter, and maybe you want to close a certain set of connections. By using folders, you can do this. I’ve got 3 connections open. 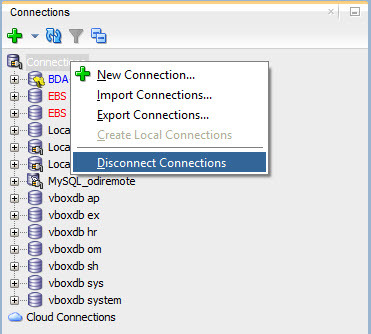 Two connections to my local database and one connected to a remote MySQL database … which is actually sitting right beside me. Anyway. 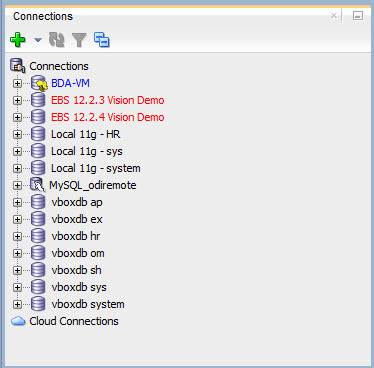 I want to close the local connections but leave the MySQL up. Two choices are available. I can either right click and close each one individually, or I can close them all as in the image above. In this scenario, two connections is not a lot, but what if you had 10 or 20 connections? 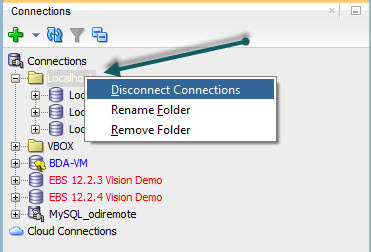 By taking advantage of the folders feature, you can group your connections and close them down by folder. You will notice now my connections are in folders and not only does this clean up the window, but I can right click the folder and close only those connections within while maintaining any others. Simply CTRL+click on the connections you want to put into a folder, right click, and choose either an existing one or create a new one. These connections can be open or closed and will retain that status after adding. You can now close them all, individually, or by folder. 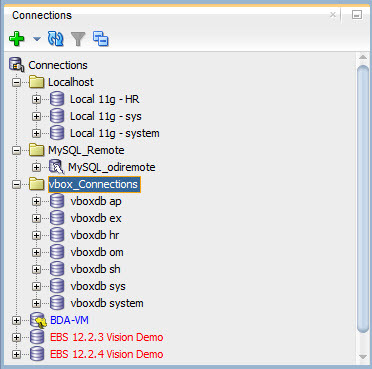 Hopefully this will add just a tad more efficiency to your SQL Developer experience.